Charles Francis Hall (c. 1821 – November 8, 1871) was an American explorer of the Arctic, best known for the suspicious circumstances surrounding his death while leading the American-sponsored Polaris expedition in an attempt to be the first to reach the North Pole. The expedition was marred by insubordination, incompetence, and poor leadership. Hall returned to the ship from an exploratory sledging journey, and promptly fell ill. Before he died, he accused members of the crew of poisoning him. An exhumation of his body in 1968 revealed that he had ingested a large quantity of arsenic in the last two weeks of his life. Little is known of Hall's early life. He was either born in Rochester, New Hampshire, or in the state of Vermont before moving to Rochester at a young age, where he was apprenticed to a blacksmith at a young age. In the 1840s, he married and drifted westward, arriving in Cincinnati in 1849, where he went into business making seals and engraving plates. He later published his own newspaper; the Cincinnati Occasional, later renamed the Daily Press. Around 1857, Hall became interested in the Arctic and spent the next few years studying the reports of previous explorers and trying to raise money for an expedition, primarily intended to learn the fate of Franklin's lost expedition. Hall went on his first expedition by gaining passage on the George Henry, a whaler commanded by Captain Sidney O. Budington out of New Bedford. They got as far as Baffin Island, where the George Henry was forced to spend the winter. Local Inuit told Hall about relics of Martin Frobisher's mining venture at Frobisher Bay on Baffin Island, to which Hall travelled to inspect these items up close. He was assisted by his newly recruited Inuit guides, husband and wife "Joe" Ebierbing and "Hannah" Tookoolito. Hall also found what he took to be evidence of the fact that some members of Franklin's lost expedition might still be alive. On his return to New York, Hall arranged for the Harper Brothers to publish his account of the expedition: Arctic Researches and Life Among the Esquimaux. It was edited by William Parker Snow, equally obsessed by Franklin's fate. The two eventually came to a disagreement—mostly due to Snow's slow editing. Snow later claimed Hall had used his ideas for the search of Franklin without giving him due credit. 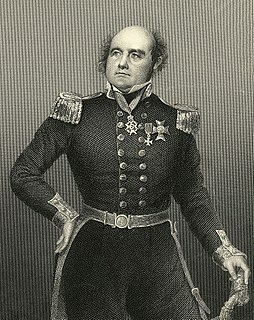 During the course of 1863, Hall planned a second expedition to seek more clues on the fate of Franklin, including efforts to find any of the rumoured survivors or their written records. The first attempt using the 95-ton schooner Active was abandoned, probably due to lack of finances caused by the American Civil War and a troubled relationship with his intended second-in-command Parker Snow. Finally, in July 1864, a much smaller expedition departed in the whaler Monticello. Hall's third expedition was of an entirely different character. He received a grant of $50,000 from the U.S. Congress to command an expedition to the North Pole on the USS Polaris. 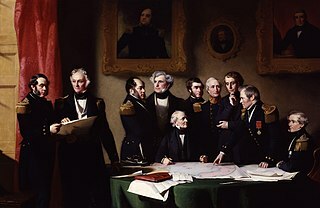 The party of 25 also included Hall's old friend Budington as sailing master, George Tyson as navigator, and Emil Bessels as physician and chief of scientific staff. The expedition was troubled from the start as the party split into rival factions. Hall's authority over the expedition was resented by a large portion of the party, and discipline broke down. Polaris sailed into Thank God Harbor—present-day Hall Bay—on September 10, 1871, and anchored for the winter on the shore of northern Greenland. That fall, upon returning to the ship from a sledging expedition with an Inuit guide to a fjord which he named Newman Bay, Hall suddenly fell ill after drinking a cup of coffee. He collapsed in what was described as a fit. For the next week he suffered from vomiting and delirium, then seemed to improve for a few days. At that time, he accused several of the ship's company, including Bessels, of having poisoned him. Shortly thereafter, Hall began suffering the same symptoms, and died on November 8. Hall was taken ashore and given a formal burial. Command of the expedition devolved on Budington, who reorganized to try for the Pole in June 1872. This was unsuccessful and Polaris turned south. On October 12, the ship was beset by ice in Smith Sound and was on the verge of being crushed. Nineteen of the crew and the Inuit guides abandoned ship for the surrounding ice while 14 remained aboard. Polaris was run aground near Etah and crushed on October 24. After wintering ashore, the crew sailed south in two boats and were rescued by a whaler, returning home via Scotland. The following year, the remainder of the party attempted to extricate Polaris from the pack and head south. A group, including Tyson, became separated as the pack broke up violently and threatened to crush the ship in the fall of 1872. The group of 19 drifted over 1,500 miles (2,400 km) on an ice floe for the next six months, before being rescued off the coast of Newfoundland by the sealer Tigress on April 30, 1873, and probably would have all perished had the group not included several Inuit who were able to hunt for the party. The official investigation that followed ruled that Hall had died from apoplexy. However, in 1968, Hall's biographer, Chauncey C. Loomis, a professor at Dartmouth College, made an expedition to Greenland to exhume Hall's body. To the benefit of the professor, permafrost had preserved the body, flag shroud, clothing, and coffin. Tests on tissue samples of bone, fingernails and hair showed that Hall died of poisoning from large doses of arsenic in the last two weeks of his life. This diagnosis is consistent with the symptoms party members reported. It is possible that Hall treated himself with the poison, as arsenic was a common ingredient of quack medicines of the time. Loomis considered it possible that he was murdered by one of the other members of the expedition, possibly Bessels, though no charges were ever filed. Most recently, the emergence of affectionate letters written by both Hall and Bessels to Vinnie Ream, a young sculptor they both met in New York while waiting for the Polaris to be outfitted, has suggested a further motive for Bessels to have been the killer. ^ Potter 2006: "There's no way that a small band of Inuit, even the most skilled hunters, could have kept alive 30 starving men in the middle of that landscape." ^ a b Mowat 1973. ^ Barr 2016, pp. 537–542. Barr, W. (2016). Polaris: The Chief Scientist's Recollections of the American North Pole Expedition. Calgary: University of Calgary Press. ISBN 9781552388754. Dodge, S. D. (1972). "Hall, Charles Francis". In Hayne, David. Dictionary of Canadian Biography. X (1871–1880) (online ed.). University of Toronto Press. Loomis, C. C. (1971). Weird and Tragic Shores: The Story of Charles Francis Hall. Lincoln: UNP. ISBN 9780375755255. Nourse, J. E., ed. (1879). Narrative of the Second Arctic Expedition by Charles F. Hall. Washington: United States Government Publishing Office. ISBN 9781108071468. Potter, R. (February 28, 2006). "Arctic Passage: Prisoners of the Ice". Nova. Transcript. PBS. Wikimedia Commons has media related to Charles Francis Hall. Russell Potter, "A motive for the murder of Charles Francis Hall". Visions of the North. July 6, 2015. Recent forensic evidence uncovered by Italian scientists suggests that Francesco (1541–1587) and his wife were poisoned, possibly by his brother and successor Ferdinando. Towards the end of his life, king Eric XIV (1533–1577) was held prisoner in many different castles in both Sweden and Finland. He died in prison in Örbyhus Castle: according to a tradition starting with Johannes Messenius, his final meal was a poisoned bowl of pea soup. A document signed by his brother, John III of Sweden, and a nobleman, Bengt Bengtsson Gylta (1514–74), gave Eric's guards in his last prison authorization to poison him if anyone tried to release him. His body was exhumed in 1958 and modern forensic analysis revealed evidence of lethal arsenic poisoning. George III's (1738–1820) personal health was a concern throughout his long reign. He suffered from periodic episodes of physical and mental illness, five of them disabling enough to require the King to withdraw from his duties. In 1969, researchers asserted that the episodes of madness and other physical symptoms were characteristic of the disease porphyria, which was also identified in members of his immediate and extended family. In addition, a 2004 study of samples of the King's hair revealed extremely high levels of arsenic, which is a possible trigger of disease symptoms. A 2005 article in the medical journal The Lancet suggested the source of the arsenic could be the antimony used as a consistent element of the King's medical treatment. The two minerals are often found in the same ground, and mineral extraction at the time was not precise enough to eliminate arsenic from compounds containing antimony. Theodor Gottlieb Ursinus (1749–1800), a high-ranking Prussian civil servant and justice official, was poisoned by his wife Charlotte Ursinus (1760–1836). At the time, his death was ruled a stroke, but soon after the widow was found to have poisoned, between 1797 and 1801, not only her husband, but also her aunt and her lover, as well as to have attempted to poison her servant in 1803. Her sensational trial led to the first reliable method of identifying arsenic poisoning. It has been suggested that Napoleon Bonaparte (1769–1821) suffered and died from arsenic poisoning during his imprisonment on the island of Saint Helena. Forensic samples of his hair did show high levels, 13 times the normal amount, of the element. This, however, does not prove deliberate poisoning by Napoleon's enemies: copper arsenite has been used as a pigment in some wallpapers, and microbiological liberation of the arsenic into the immediate environment would be possible. The case is equivocal in the absence of clearly authenticated samples of the wallpaper. Samples of hair taken during Napoleon's lifetime also show levels of arsenic, so that arsenic from the soil could not have polluted the post-mortem sample. Even without contaminated wallpaper or soil, commercial use of arsenic at the time provided many other routes by which Napoleon could have consumed enough arsenic to leave this forensic trace. South American independence leader Simón Bolívar (1783–1830), according to Paul Auwaerter from the Division of Infectious Diseases in the Department of Medicine at the Johns Hopkins University School of Medicine, may have died due to chronic arsenic poisoning further complicated by bronchiectasis and lung cancer. Auwaerter has considered murder and acute arsenic poisoning unlikely, arguing that gradual "environmental contact with arsenic would have been entirely possible" as a result of drinking contaminated water in Peru or through the medicinal use of arsenic as Bolívar had reportedly resorted to it during the treatment for some of his illnesses.